Revel Films founded by Ashok & Pragati Pandey, is focused on media and entertainment industry making quality films. Revel Films ventured with the feature film’ Phas Gaye Re Obama’ and is coming up with a new movie ‘Saare Jahaan Se Mehnga’. Phas Gaye Re was Directed by Subhash Kapoor and starring stalwarts like Neha Dhupia, Rajat Kapoor, Sanjay Mishra, Manu Rishi Chadda, Amole Gupte, this film was appreciated by audiences and critics alike. This debut mass venture was rated 4 stars on an average by most reviewers. A satire on the lines of American inflation, and the ambitions of small-town thugs and a bandit queen, Phas Gaye Re Obama was a laughter-riot. The industry gurus showered adulation on the film by awarding it in various categories. 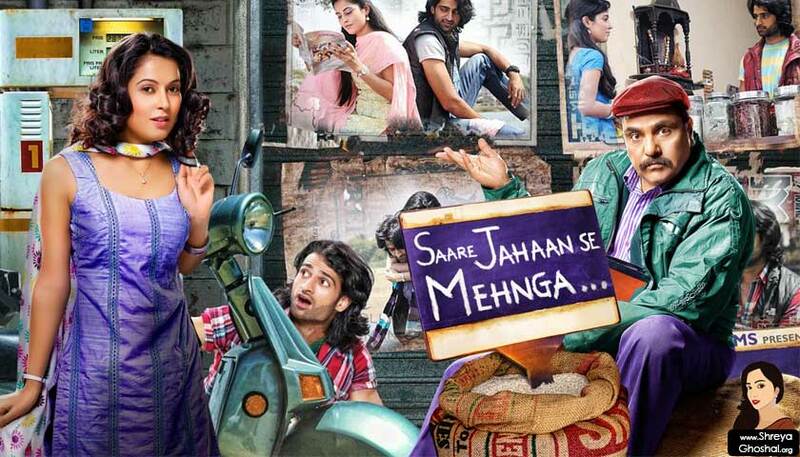 Upcoming projects undertaken by Revel Films include ‘Saare Jahaan Se Mehnga’, a film by Anshul Sharma. The Bolo Na lyrics from ‘Saare Jahaan Se Mehnga’, starring Sanjay Mishra, Vishwa Mohan Badola, Zakir Hussain, Ranjan Chabbra and Disha Pandey. Directed by Anshul Sharma, the music of the film has been composed by Manish J Tipu. The lyrics of ‘Bolo Na’ has been written by Naveeen Tyagi and the song has been sung by Sonu Nigam, Shreya Ghoshal.